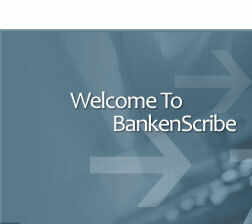 Welcome to BankenScribe MICR Font. 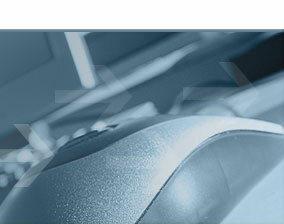 We are the specialists in the production of high-quality MICR solutions. MICR stands for Magnetic Ink Character Recognition. The technology is implemented by printing special block-like characters on magnetic ink, which may be read automatically by machine and enables speedy checks processing. BankenScribe MICR Font for E13B is designed based on the ISO-1004 Standard, which specifies the dimensions and shapes of the MICR Characters. The standard also specifies the printing tolerances and other important considerations. E13B fonts are used in USA, Canada, United Kingdom, Central America and Asia. MICR is used to print routing and accounting information on checks. It may be printed using existing printing technology, and read accurately by machines, known as reader-sorters. A document encoded with MICR can normally withstand light pencil marks, grease marks, and other non-magnetic smear and splatter over the characters. There are 14 characters in the E13B standard. They are the 10 digits ( ) and four special symbols ( ). The characters are printed using magnetic ink so that they are readable by a machine and facilitate rapid financial document processing. BankenScribe MICR Font is used mainly for printing the MICR Line of a bank check or other financial documents. The MICR Line typically contains information on the account number, routing and transaction codes, and the check amount. The MICR Line is located at the bottom of the document, within an area known as the Clear Band. The Clear Band is a rectangular block of space that must not include magnetic properties that interfere with the reading of the MICR Line. According to the ANSI specifications, the height of the Clear Band must be at least 0.625 inches high. The MICR Characters must be in a single line and located at least 0.1875 inches from the bottom of the document. 1. Amount - The amount field is enclosed between two amount symbols ( ). It is usually left blank and will be added by your bank. 2. On-Us - This field varies from bank to bank. It typically includes your account number. 3. Transit - This field contains the bank routing number and transit codes for directing the check to the processing center (using the most efficient route). 4. External Processing Code - This optional one-digit field, located at either position 44 or 45 indicates requirement for special handling. 5. Auxiliary On-Us - This optional field, sometimes found in large checks, may contain accounting information, serial numbers or transaction codes. It varies for different banks. You will need to request a copy of the MICR (E13B) Specifications from your bank for details on printing the MICR Line. BankenScribe implements the MICR characters as fonts that can be used in many operating systems. You do not need special printers to print the characters -- just a normal laser printer will suffice. However, you will need to purchase magnetic ink when printing the MICR characters on checks to allow proper processing. For example, in the Windows environment, the user may install the TrueType font by copying the file MICRBankenScribeDemo.ttf into the /Windows/Fonts directory. To test the font are working properly, you can start a Text Editor, enter some digits and select the MICRBankenScribeDemo font. The font size must be set to 14 points and the style must be Regular. The following table lists the MICR characters and their keyboard mappings. Note that after printing your check, you may want to ensure that the position of the MICR characters are properly aligned both in the vertical and horizontal direction. The spacing between characters should adhere closely to specifications and the MICR characters should exhibit minimum skew or rotation. It is important that the Clear Band area contains no other printing except the MICR Line. BankenScribe fonts meet the requirement of ISO (International), ANSI (USA) and CPA (Canada) specifications for automatic check processing. It is the ideal choice for MICR encoding and financial document printing. BankenScribe is deployed and used by many companies worldwide, which attest to its reliability, robustness and integrity.